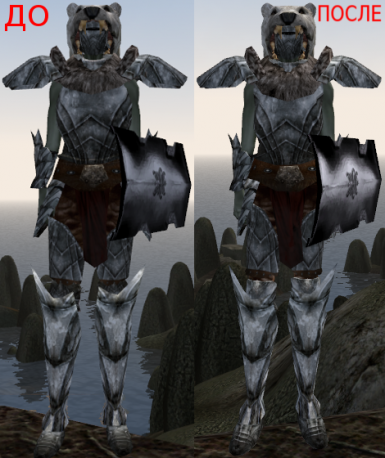 This plugin replaces meshes of Morrowind armor(except helms, shields and some gauntlets) with Better Bodies compatible version. 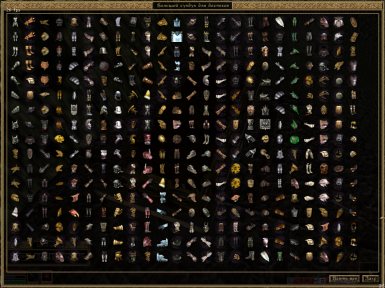 All meshes and esp-files from the mod can be used anywhere without asking, but you must remember that it is only a beta-version. 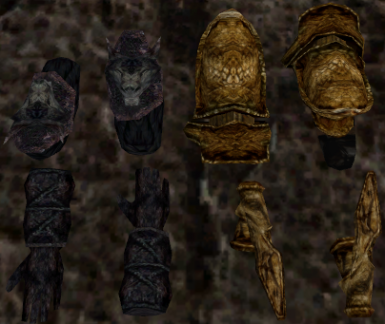 The main mesh of greaves was made from straight pants from Better Clothes by Neuman and Dereko. 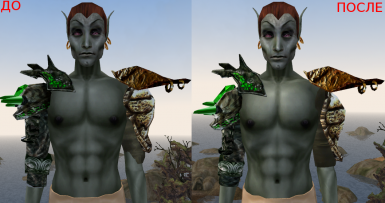 The part of Left Gloves Addon by Alaisiagae was integrated. 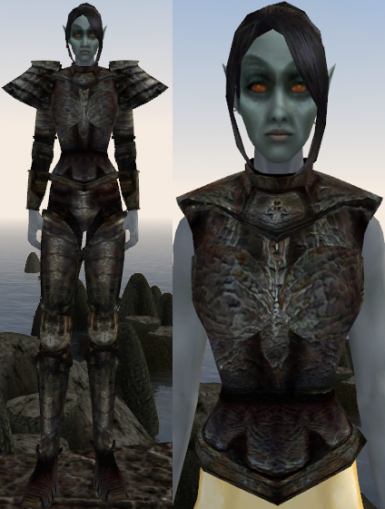 The author of 11 female meshes of cuirass (glass, dwemer, orcish, iron, silver and bonemold) is tiebrakre. 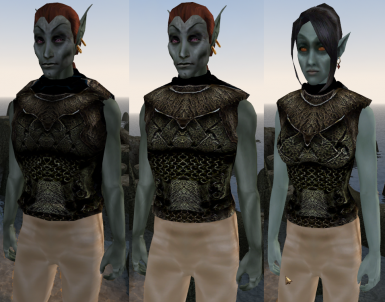 Requirements: Morrowind and Better Bodies 2.2 or later. 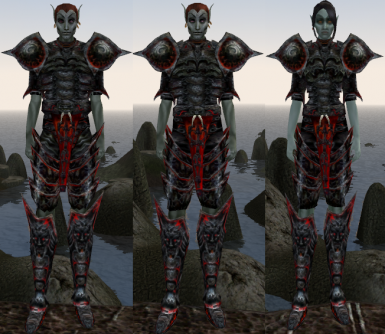 You may install this plugin on any combination of the official addons or pure Morrowind. 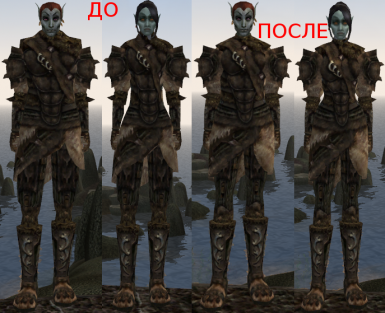 Now all boots have the same size as the feet, and they use the same slots as the shoes in the Better Clothes. 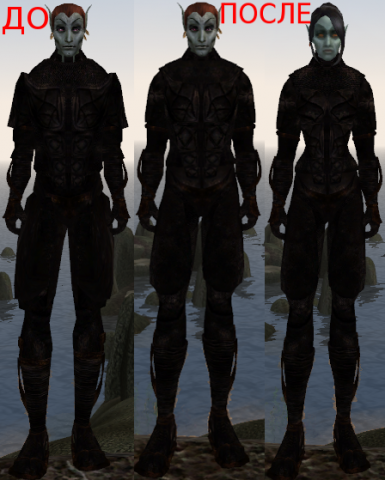 All greaves have male and female versions and they use the same slots as the pants in the Better Clothes. 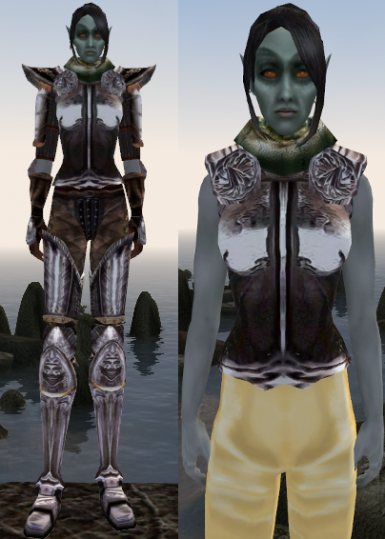 All the cuirasses have both male and female versions. 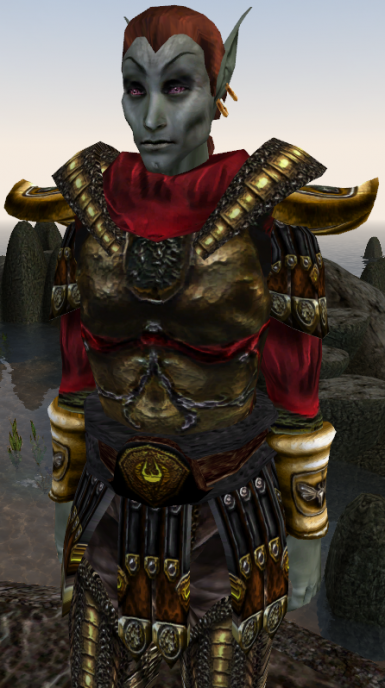 Pauldrons don't smash to body and cuirass. 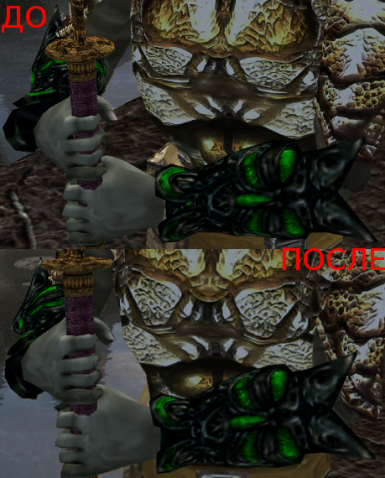 Fixed hole between the hands and bracers. 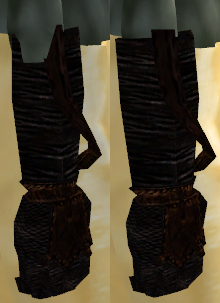 Gauntlets don't smash with arms. 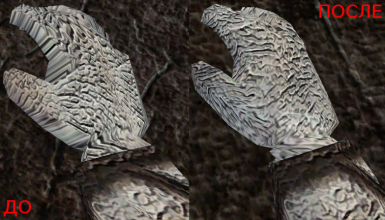 The part of Left Gloves Addon (which change armor) was integrated. 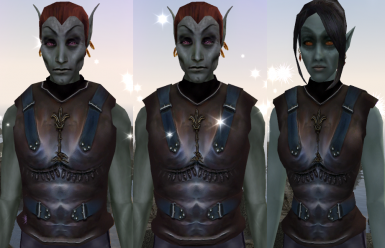 I did compatible with this plugin version of Complete Armor Joints. 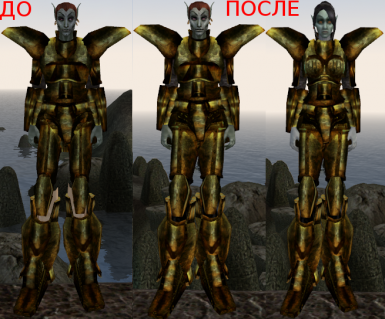 Copy "Data Files" folder to the root game directory, merge folders and enable Better Morrowind Armor.esp in the morrowind launcher. 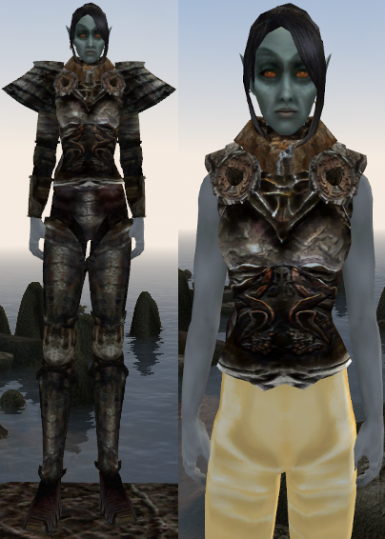 Better Morrowind Armor DeFemm(r).ESP - only cuirasses made from stretchy material have female versions. 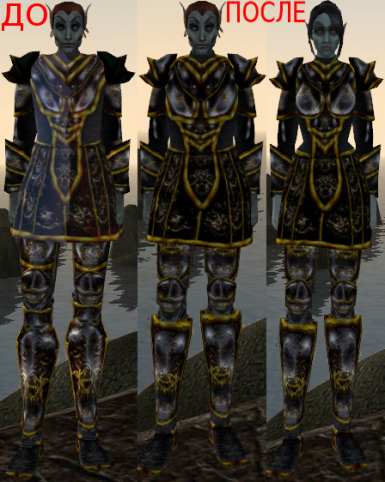 If you want to install this plugin on game without Tribunal, you must use either Better Morrowind Armor DeFemm(a).ESP, or install meshes of 3 female cuirasses from "patch for installation without Tribunal". 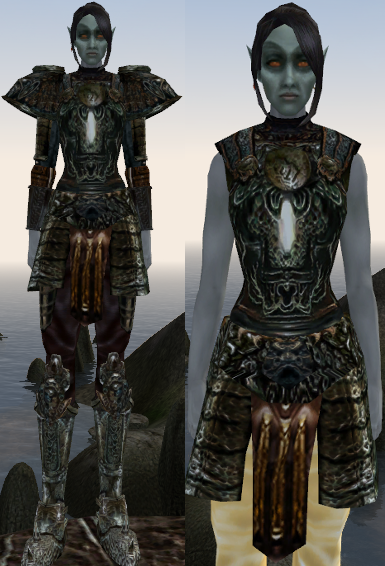 Also there is in archive patch returning the belt to Imperial Steell Cuirass (it change icon, male and female meshes of the cuirass). If you use LeFemmArmor, copy the files onto the main mode of the appropriate folder. 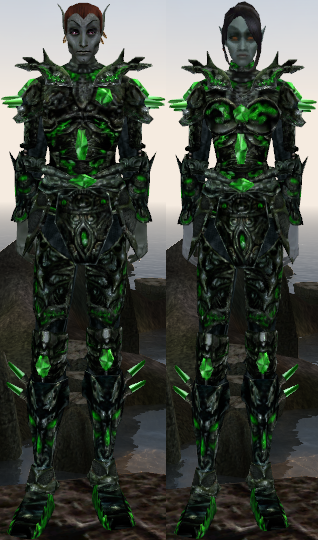 If you use Snow Prince Armor Redux, you should do the same thing. 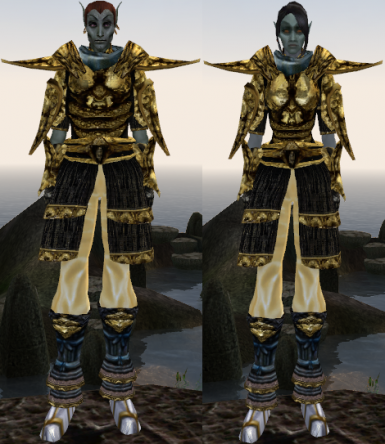 If you use HiRez Armors- Native Styles V2 use the patch for that plugin. 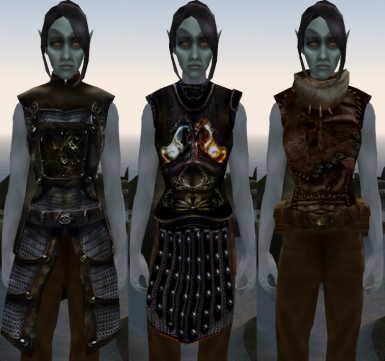 These patches not only provide compatibility with main mod, but also adopt for Better Bodies Domina Armor, Gold Cuirass and Ancient Steel Armor. 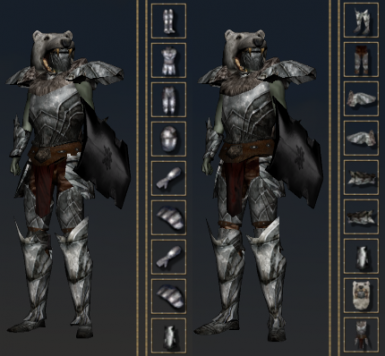 This mod conflicts with any other replacer and any plugin, which changes parameters of armor. 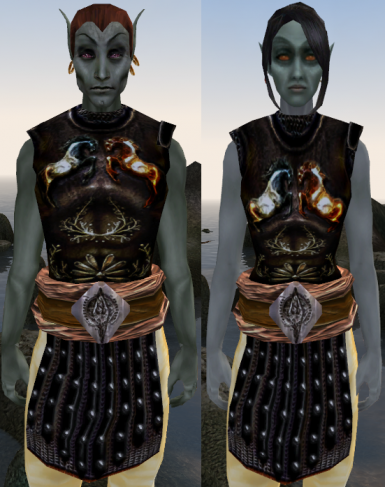 Conflicts with retextures are possible, as UVW-coordinates has changed on many meshes. 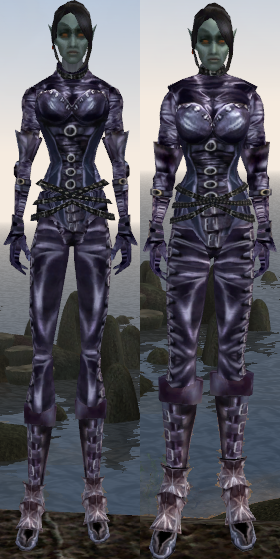 Not too looks good on any replacer of beast races, except version from Better Bodies 2.9 by olol. Sorry for grammar mistakes, English isn't my native language.